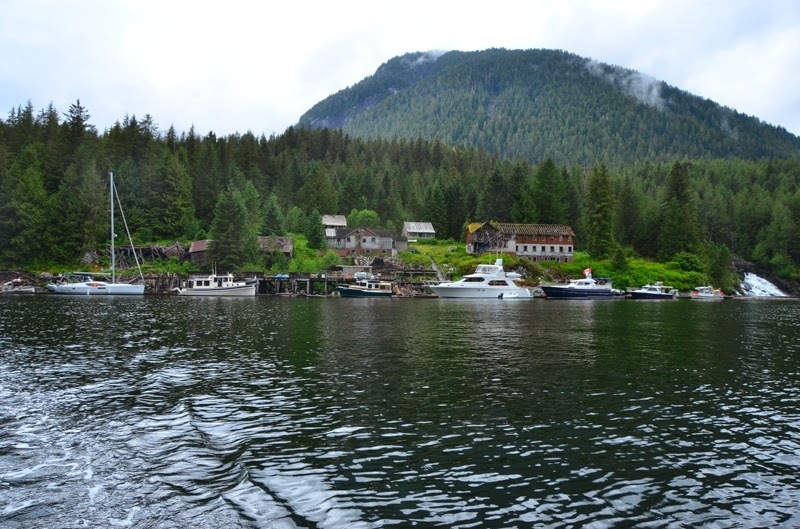 Our original itinerary had us heading to Fiodland today and anchoring at Windy Bay. But given the rainy and dreary weather we opted instead to head directly for Butedale. Speaking of weather…we had our first rainy day. Pretty amazing, actually, that we made it two weeks before getting any real rain. We’ve had an exceptional run of weather. 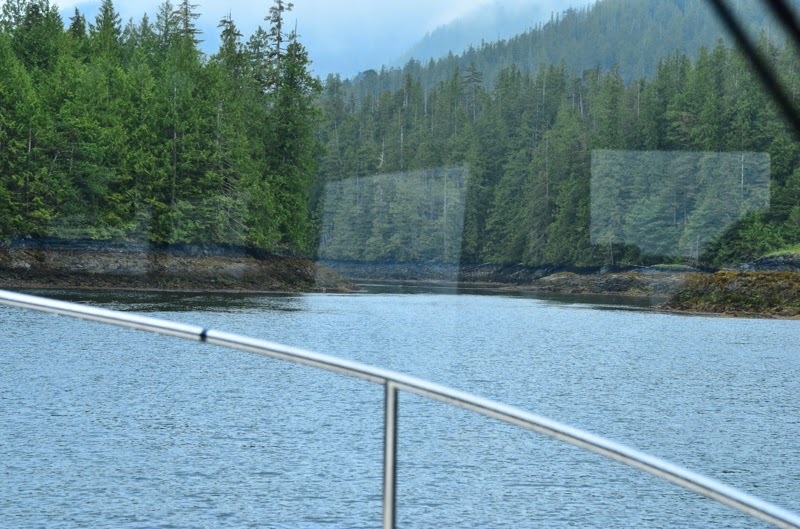 Our new route for the day took us out Jackson Passage near low tide. Some of the larger boats chose alternative routes, but we made it through just fine with about 7 feet of water under the keel. The highlight of the day for many people were two orcas we spotted. They weren’t particularly active, but I think the whole group saw them. 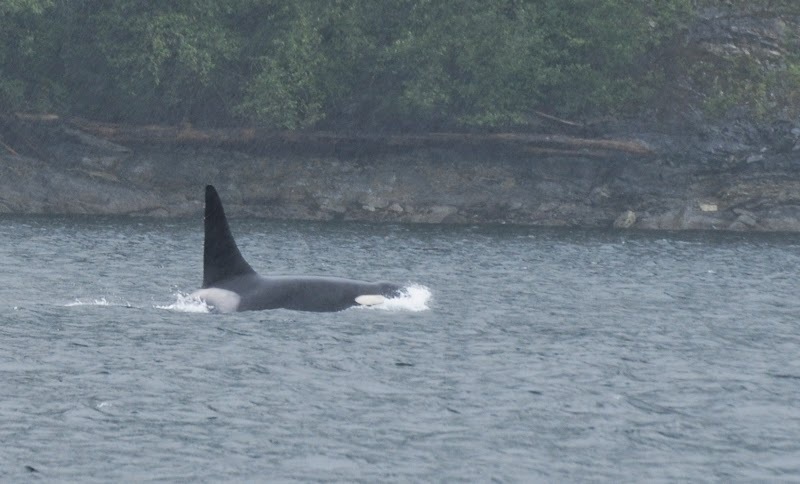 We saw a few orcas through the heavy rain.